The Kyoto protocol has focused the attention of the public and policymarkers on the earth's carbon (C) budget. Previous estimates of the impacts of vegetation change have been limited to equilibrium “snapshots” that could not capture nonlinear or threshold effects along the trajectory of change. New models have been designed to complement equilibrium models and simulate vegetation succession through time while estimating variability in the C budget and responses to episodic events such as drought and fire. In addition, a plethora of future climate scenarios has been used to produce a bewildering variety of simulated ecological responses. Our objectives were to use an equilibrium model (Mapped Atmosphere–Plant–Soil system, or MAPSS) and a dynamic model (MC1) to (a) simulate changes in potential equilibrium vegetation distribution under historical conditions and across a wide gradient of future temperature changes to look for consistencies and trends among the many future scenarios, (b) simulate time-dependent changes in vegetation distribution and its associated C pools to illustrate the possible trajectories of vegetation change near the high and low ends of the temperature gradient, and (c) analyze the extent of the US area supporting a negative C balance. Both models agree that a moderate increase in temperature produces an increase in vegetation density and carbon sequestration across most of the US with small changes in vegetation types. 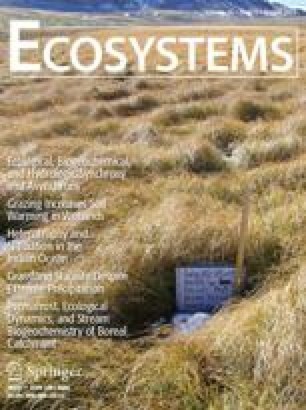 Large increases in temperature cause losses of C with large shifts in vegetation types. In the western states, particularly southern California, precipitation and thus vegetation density increase and forests expand under all but the hottest scenarios. In the eastern US, particularly the Southeast, forests expand under the more moderate scenarios but decline under more severe climate scenarios, with catastrophic fires potentially causing rapid vegetation conversions from forest to savanna. Both models show that there is a potential for either positive or negative feedbacks to the atmosphere depending on the level of warming in the climate change scenarios. Key words: global climate change; simulation model; biogeography; carbon budget; MAPSS; MC1. Received 12 May 2000; accepted 22 November 2000.